Founding member of the Constitution Party Mohamed El-Baradei will give a speech in Tahrir Square shortly to voice demands of the 'National Salvation Front' (NSF), which he, together with opposition figures, has founded against President Mohamed Morsi's constitutional declaration. According to NSF media spokesman Hussein Abdel-Ghani, the front had a meeting late Thursday and agreed to keep fighting for its demands, including cancelling the constitutional declaration; the dissolution of the Constituent Assembly and formation of a new representative one; and the issuing of a transitional justice law, which would guarantee fair and legal retrials for those responsible for killing revolutionaries. Abdel-Ghani told Ahram Online that the front had not yet decided on what the next steps should be. However, he said that the sit-in would continue and many public figures would remain in the square for the coming few days. There are possible plans for calling for a civil disobedience campaign until the declaration is cancelled and the Constitutional Assembly dissolved. Eleven newspaper editors-in-chief have declared they would hold a one-day strike on Tuesday to protest the declaration, while three television channels would cease transmission on Wednesday. Mahmoud El-Alaly, a leading member of the Free Egyptians Party, considers the media strike as a first step towards a wider social action and civil disobedience. 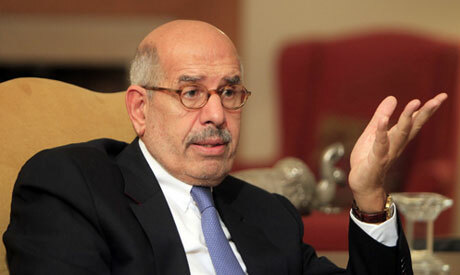 "Egyptians have a lot of cards to play to pressure for democracy and justice," he added. "This is not a fight over authority but rather over democracy...Morsi is an elected president and we all know that and respect it. So if he decides to cancel his declaration, dissolve the Constituent Assembly and form a new representative one, the political forces now in the opposition would return to dealing with Morsi as a political partner in building Egypt's future," said Abdel-Ghany. The National Front was formed last Saturday by tens of political parties and groups to defeat the recent constitutional declaration announced by President Morsi. The front, which includes the Constitution Party, the Egyptian Popular Current, the Social Democratic Party, and the Socialist Popular Alliance Party, amongst others, announced its support for demonstrations and sit-ins against the declaration, as well as its support for actions by judges to defend judicial independence. Morsi's contentious decree makes all presidential declarations, laws and decrees immune to appeal "by any way or by any entity." It also protects Egypt's controversy-prone Constituent Assembly and Shura Council (the upper house of parliament) from dissolution, effectively pre-empting the verdicts of ongoing appeals that might see either body declared unconstitutional. Moreover, the president dismissed the current prosecutor-general and appointed in his place Judge Talaat Ibrahim Mohamed Abdullah, a former deputy head of Egypt's Court of Cassation. Democracy is about the will of the Majority. The parliament and the president were elected by the people. Baradei, the Judges, and even these Newspapers do not reflect democracy. They are pervasive special interests. Win you win the election you can dictate your opinions when you lose you have the right to be heard but you need to politic with other groups to get your interests accepted. Baradei and others please stop. You are destroying egypt for the sake of the old regime.